Ms San Francisco Leather is committed to providing an inclusive environment. The information below describes the current accessibility features for the MsSFLeather Contest and events. Let us know how we can improve our accessibility standards. Please contact our accessibility liaison directly to clarify or discuss your accessibility needs that are not covered here. The SF Eagle Bar and patio are on one level and is wheelchair accessible from the main entrance out to the patio or through the side door. There are no ADA compliant restrooms. The distance from the street (Brannan St.) to the door is 199 feet. The path from the street to the front door is uneven asphalt. In the event of rain there will be standing water. The main entrance door is 5 feet 9 Inches wide. The door does not have power-assist doors. There is a door monitor that will assist opening the door. A wheelchair ramp goes from the lobby to the main event floor, the audience area, and the restroom. The ramp is 47 feet 4 inches long and has two turns before the restroom and a third turn into the main space. The stage is wheelchair accessible directly from the lobby area. The restroom has one restroom stall that is ADA compliant and it has assist handles. There are two (2) dedicated parking spaces for handicap accessibility next to the lobby doors. There are three (3) spaces on the street reserved for handicap accessibility for this night only. This would require traveling the length of the uneven asphalt driveway (approximately 200 feet). only other parking is street parking in the neighborhood. There is a parking lot across from the event location. 150 Division St., San Francisco, CA 94107 (Entrance to the lot is on Brannan Street). It is self-park and unattended. The rate is $8.00 flat rate per hour. Early entrance into the contest space is available 15 minutes prior to the official door opening to those with accessibility needs to provide seating before the official door opening. Seating for those using wheelchairs who also have a companion will be available. Reserved seating will be available near the front for those using sign language interpreters or with other accessibility needs. A space for parking scooters is available on the contest seating floor. Meet & Greet (Friday SF Eagle Patio 8pm): Interpreters are available with advance reservations. Please make reservations for ASL interpreters by email to MissBunne@gmail.com, one week in advance. Interpreters are available with advance reservations. Please make reservations for ASL interpreters by email to MissBunne@gmail.com, one week in advance. 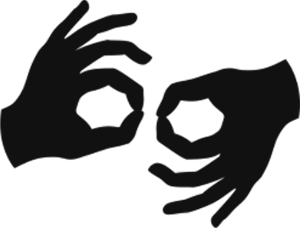 A team of ASL Interpreters will be provided for the contest on Saturday. No reservation is required. There will be reserved seating near the front for those using sign language interpreters. Service animals are welcome at the event.